This role is part of a national telehealth nurse case management pilot program called Patient Pathways that is being coordinated by the Centre for Community-Driven Research. The first point of call for many patients when they are diagnosed with a condition is to go to local non-profit organisations for information and support. The Patient Pathways pilot project aims to make the most of this relationship by establishing a central point of contact within non-profit organisations – a specialist, Patient Pathways telehealth case management nurse – to help patients and their families access existing services and connect them with opportunities to participate in medical research and patient feedback initiatives. Nurses will provide case management to patients via telephone using a protocol developed as part of the pilot, and also be part of a network of nurses so that they are supported in their role. 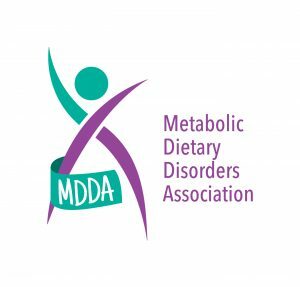 The Metabolic Dietary Disorders Association (MDDA) is Australia’s peak body representing individuals and their families diagnosed with an Inborn error of protein metabolism (IEpM). MDDA offers support throughout each major life stage from the newly diagnosed, childhood, adolescence throughout adulthood, maternal women from preconception through to the birth of their child and beyond. Our vision is for all individuals living with an IEpM are leading a life at full potential, not limited by choice or resource. Please quote in application: Patient Pathways Telehealth Case Management Nurse via Pro Bono Australia.